Paulina Bocaz joined NRAO in 2014, after 7 years working at the Joint ALMA Observatory. In 2016, she assumed the position of NRAO assistant director for Chile. Since then, Paulina has been spearheading several diversity & inclusion initiatives such as a study to identify underrepresented groups in STEM (2016), the first Workshop on Women in Astronomy and Engineering (2017), Hour of Code and STEM career “speed dating” activities (2018), and a role model campaign to promote STEM vocations among girls in low-income communities (coming in 2019). She is personally motivated by the observatories scientific mission, but believes that diversity & inclusion is key to making a complementary and lasting contribution to society, truly broadening the impact of science. In 2008, Violette joined NRAO in C'ville for a postdoc, after which she moved to ALMA in Chile to join the team commissioning the telescope. 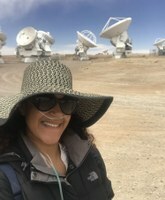 Then since 2014, Violette has been an operations staff scientist at the JAO (still working for NRAO), supporting and technically setting up ALMA and VLBI observations. Originally from Sicily, Italy, but having lived in Germany, England and in the US, Violette considers herself a citizen of the world. She loves to work in a multi-ethnic, international environment but also knows the challenges associated with being "the foreigner” or a minority. Having had two kids recently has given her further insight into the life of a working mom, in particular at an observatory. Because of her own past experience, Violette has a strong interest in creating a more diverse and inclusive work environment. She has recently been part of a beautiful series of outreach events organized by AUI aimed at encouraging young women in schools to study STEM. She is an enthusiastic advocate of diversity and believes firmly that, for example, while female students must be encouraged to approach a STEM career, we must all actively take our part in fostering the right conditions for diversity to become a reality at our work place. Her hobbies (more recently) comprise swimming, running kites and building legos. 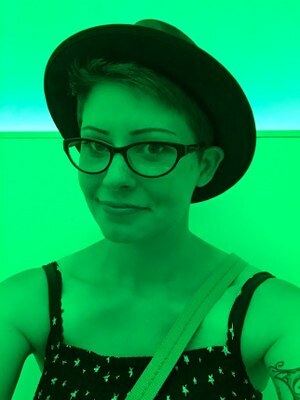 Janet Goldstein Employee Diversity Group Member Janet Goldstein joined NRAO as a software engineer with the DMS-SSA group in 2017, coming from Johns Hopkins University, where she was a co-facilitator with the University's Safe Zone training program for allies of the LGBTQ+ community. Her hobbies include strenuous exercise, the New York Times crossword, and quiet evenings at home with her wife, Teresa. Matthew joined NRAO as an information systems manager in March, 2018, and has worked in IT since 1994. 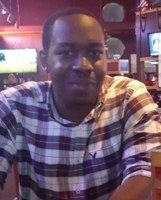 He is pursuing a graduate degree in engineering management from New Mexico Tech. Matthew has been a part of diversity efforts both as an undergraduate at New Mexico Tech and at several employers, including Los Alamos National Laboratory and Lockheed Martin. 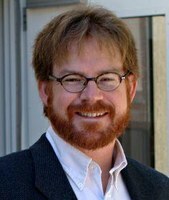 His hobbies include alternative diesel fuels research, amateur radio, and observation and reporting of weather phenomena for the Skywarn group of the National Weather Service . He is a developer for the Debian Linux project and volunteers time to develop exams for the Linux Professional Institute. Lauren Zuckerberg joined NRAO as a Project Manager in 2018, focusing on projects related to maintenance and upgrades for the VLA, new technology for the VLBA, and contributing to the proposal effort for ngVLA. She is an active volunteer for weekend tours and the twice-yearly open house at the VLA. Lauren’s background is in aviation maintenance & engineering, in addition to astronomy graduate work. She has always been an advocate for women in technical fields that are traditionally male-dominated and strongly feels that it’s never too late to start liking math. Lauren believes that in a diverse workforce, each employee contributes to the success of the Observatory goals by tapping into the unique perspectives obtained from the various experiences, skills, and talents of its employees. It is important for an organization to foster diversity to achieve a dynamic, innovative, and enjoyable working environment. Jessica Harris is currently the STEAM Education Program Development Officer in the Education and Public Outreach Department. 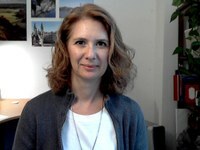 She is coming to NRAO after 7 years as an education outreach specialist and director of the Space Astronomy Summer Program (SASP) for the Space Telescope Science Institute (STScI) in Baltimore, MD. While at STScI Jessica was the co-chair of the Invision Working Group, member of the Women Empowering Women (WEW) group, and one of the facilitators for the Women in Astronomy Conference & AAS Workshop “Concrete Steps to Make Your Workplace More Inclusive”. Jessica facilitated a featured activity from these workshops at NRAO called “Understanding Your Privilege”. 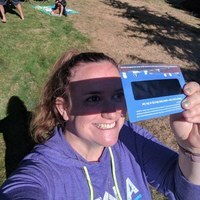 Jessica currently leads the STEAM Education team on two NRAO programs for middle school and high school students: Radio Astronomy and Physics Program (RAP) and Sister Cities and Observatory Program. 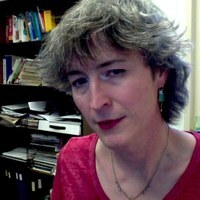 Jessica also serves on the National Astronomy Consortium (NAC) Advisory Board and as a NAC mentor. As a diversity advocate, she inspired by the the south African term ubuntu, “I am because we are”. “Bringing people together is what I call ‘ubuntu’, which means ‘I am because we are’. Far too often people think of themselves as just individuals, separated from one another, whereas you are connected and what you do affects the whole world. When you do well, it spreads out; it is for the whole of humanity”, quote by Desmond Tutu. 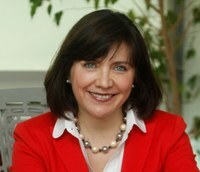 Jennifer Jackson is a Technical Specialist at the National Technology Center in Charlottesville. She builds, tests, and repairs Warm Cartridge Assemblies that are the local oscillators for each band in the ALMA telescope array down in Chile. In the 13 years she has worked at the NRAO, more than 700 of these oscillator units have been delivered to the array and are in use today. Jennifer is a veteran of the United States Air Force, where she traveled to many different locations and worked with many different people from all over the world. She has many years of experience working in the commercial sector of cellular, wideband, and PBX communications. In working with so many people, Jennifer has come to appreciate the way diversity affects the environment of any workplace. New ideas come from new outlooks and different ways of seeing the same problem. She values the input of others, regardless of their background. She is active in several local community groups and attends many LGBTQ focused events and workshops. Having often been the only female in many of her work environments, she knows firsthand what it means to feel like you aren’t being heard. Jennifer believes in creating a productive and happy work environment and truly believes that teamwork makes the dream work. Without true acceptance and respect from coworkers and management, no team can reach its full potential. Erica Keller is a Data Analyst at the ALMA North American Science Center in Charlottesville. She works with the data processing and community support teams to help ALMA users get the most out of their data. In recent years she has focused on community outreach to under-representated students to encourage interest in science and technology. 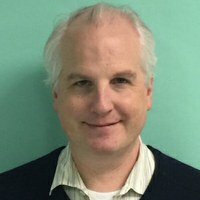 I'm a Software Engineer at the NRAO Central Development Laboratory in Charlottesville, Va. Over the last 10+ years I have developed software for operating and qualifying the ALMA front end receivers. I have traveled several times to the ALMA OSF labs Chile to set up and maintain the front end measurement systems and to train the users. Prior to working at the NRAO I contributed to the display systems on the platforms of the Washington DC Metro ("7 car train to Vienna, 4 minutes.") I have also built software for manufacturing automation of cell phone infrastructure components. In recent years I have mentored a few summer students at the CDL, which I find to be an enjoyable challenge. Employee Diversity Group Member Karen Prairie has been with NRAO since 2011. As the Observatory’s Meeting Planner, she advocates for and lifts up diversity issues on all levels of NRAO hosted events. Participants experience direct benefits from a diversity of ideas and perspectives when there is broad representation at these events. She believes there are many opportunities for each of us to uphold NRAO’s commitment to diversity in large and small ways. 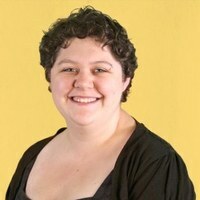 Originally from Kentucky, Elizabeth Sharp has been working professionally as a Software Engineer since 1997. She graduated with a Master of Science from the JB Speed School of Engineering at the University of Louisville in 2006-2007. She began working at NRAO in Charlottesville in November 2009. Jessica (JJ) Utley has been an Administrative Assistant at NRAO in Charlottesville for nearly 11 years. She has worked for the Director’s Office, Business Services, and currently supports the department of Science Support and Research and the office of Diversity and Inclusion. Over the years, she has had the opportunity to work with a diverse group of people at various stages in their careers – from students just starting out, to tenured colleagues. However, she considers working with students from diverse backgrounds to be especially rewarding. In her role as Administrative Assistant for the office of Diversity and Inclusion, JJ provides support to underrepresented students during their research experiences and serves as a single point of contact for assistance with everything from travel arrangements to stipend payments. JJ believes wholeheartedly in the Observatory’s commitment to a diverse and inclusive work place culture that accepts and appreciates all individuals regardless of race, gender, gender identity/expression, age, ethnicity, ability, sexual orientation, socioeconomic status, religious affiliation, or national origin and culture. To that end, she plans to use every resource available to educate herself and her colleagues on diversity related issues, while continuing to advocate and provide support for minority and underrepresented groups in STEM fields. Akeem Wells is a Software Engineer at the National Radio Astronomy Observatory in Charlottesville, VA. He received his B.S. in Interdisciplinary Science from Florida Institute of Technology in 2013. While having various interests in diversity, inclusion, education and public outreach; Akeem volunteers with public outreach events along with various events around the community in order to assist with efforts to make the Observatory a comfortable working environment.